Another day, another direct-to-video Bruce Willis thriller! In 2018’s Reprisal, Jacob Tasker (Frank Grillo) works as a manager at a bank. This branch undergoes a robbery, one that leaves a security guard dead. Haunted by these events, Jacob teams with ex-cop James (Willis) to track down the culprit (Johnathon Schaech) and bring him to justice. In case my opening statement about the frequency with which Willis makes direct-to-video thrillers seems like an exaggeration, take a look at the previews that open this Blu-ray. We get promos for six films, and four provide direct-to-video projects that feature Willis. Once a major star, Willis still leads in the occasional big-screen release like 2018’s Death Wish, but he seems more than willing to grab paychecks where he can. Reprisal becomes another forgettable effort. Actually, “forgettable” may be more praise than Reprisal deserves, as it implies a level of competent mediocrity. The film doesn’t reach that standard, so instead, it becomes a mess without logic or impact. Reprisal comes packed with unnecessary plot points. We learn that Jacob’s daughter Sophia (Natalia Sophie Butler) suffers from diabetes, and we also find out that the Tasker family deals with financial stresses. Gee, you don’t suppose those gratuitous narrative elements will play a significant role in the proceedings, do you? Reprisal uses these and other story beats in a clumsy manner that exists for no reason other than to create a false sense of tension and character motivation. Despite these attempts, Reprisal almost wholly lacks any form of excitement or drama. We never buy into the characters or care about their fates, so the movie plods along toward its inevitable conclusion without any impression. 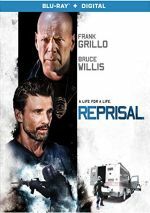 It doesn’t help that Reprisal delivers a completely preposterous story. I believe the way in which the robbery haunts Jacob, but his investigation seems exceedingly tough to swallow, especially given the participation of ex-cop James. In real life, once the former law enforcement officer learns his civilian neighbor pursues leads, he’d say “good job – let’s take this to the authorities!” Instead, James abets Jacob’s dangerous, foolhardy exposition, all for no logical reason other than to create this movie. Grillo and Schaech seem miscast, as I feel like each should play the other’s role. 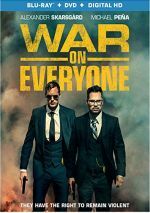 Grillo comes across as too dark and shady to be the ordinary family man, whereas Schaech comes across like a better fit for that role. Maybe the filmmakers thought this flip-flop would add depth, but the actors simply look wrong in their parts. Willis remains on cruise control. He plays James as a lazy riff on John McClane and never bothers to actually act. Throw in relentless, pointless use of slow-motion and shakycam along with an intrusive score and Reprisal flops. Overwrought and melodramatic, the movie lacks any real punch or tension. Reprisal appears in an aspect ratio of approximately 1.85:1 on this Blu-ray Disc. Though mostly positive, the image fell short of greatness. Sharpness worked well, as only a sliver of softness crept into the occasional wide shot. Overall definition remained positive, though, without real intrusions into that area. I saw no evidence of jagged edges or moiré effects, and the image lacked edge haloes. Print flaws also failed to appear, though the movie seemed grainier than usual, an apparent photographic choice. This didn’t work well, as it just made the movie messier than expected for something from 2018. Colors tended toward the usual orange and teal bent much of the time, and the Blu-ray depicted the hues well. The palette didn’t sizzle, but the tones seemed well-rendered within the design choices. Blacks appeared dark and tight, while low-light shots demonstrated nice clarity and delineation. I felt mostly pleased with this presentation, though the awkward use of grain became a distraction. In addition, the film’s DTS-HD MA 5.1 soundtrack worked fine, as the mix brought the variety of natural settings to life. Various environmental bits filled the spectrum nicely, and occasional action beats used the five speakers in a dynamic way. Audio quality appeared positive as well, with natural, concise speech. Music showed nice range and vivacity. Effects came across as clean and accurate, with very good bass response. The soundtrack added to the movie’s impact. Making Reprisal runs nine minutes, 29 seconds and includes comments from director Brian A. Miller and actors Frank Grillo, Johnathon Schaech, Olivia Culpo and Colin Egglesfield. “Making” looks at story/characters, cast and performances, stunts and action, and Miller’s impact on the shoot. “Making” offers a handful of decent details but it mainly delivers promotional fluff. Under Cast/Crew Interviews, we find a total of 26 minutes, 27 seconds of clips. In these, we hear from Miller (5:35), Grillo (4:54), Schaech (3:05), Culpo (3:06), and Egglesfield (9:26). Across these segments, the participants discuss story/characters, cast and performances, stunts and action, sets and locations, and related domains. These interviews come from the same sessions used for “Making” and just expand on what we heard there. The remarks remain largely superficial and praise-oriented. The disc opens with ads for Bleeding Steel, Escape Plan 2, Acts of Violence, First Kill, Marauders and Extraction. We also get the trailer for Reprisal. Relentlessly inane and incoherent, Reprisal fails to deliver an effective thriller. It comes with far too many stretches of logic to become anything more than a waste of time. The Blu-ray brings generally positive picture and audio along with minor bonus materials. Reprisal doesn’t work.